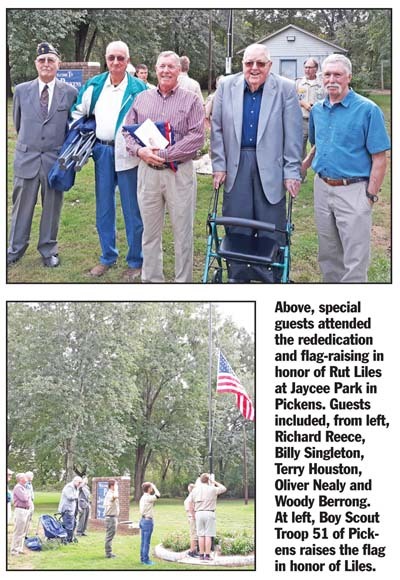 PICKENS — The Pickens Service Club, BSA Troop 51, family, friends, veterans and residents of Pickens conducted a flag-raising ceremony at Jaycee Park for the rededication of the E. Rutledge “Rut” Liles Memorial on Oct. 14. Liles, a son of Pickens, was born May 13, 1947, to Rut Sr. and Mary Liles. 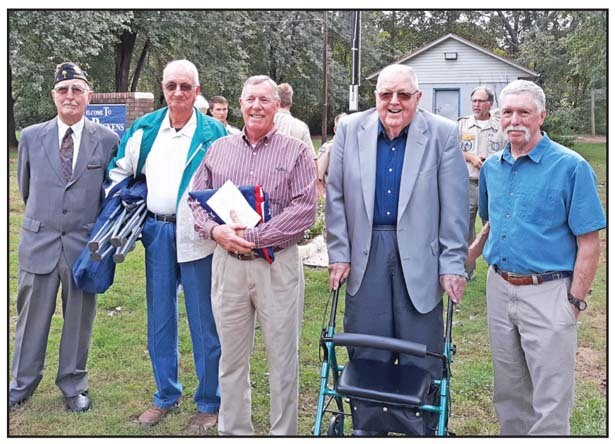 Liles grew up in Pickens in the 1950s and ‘60s and was the perfect example of the “guy next door” with his infectious smile.